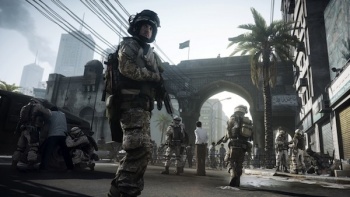 You may want to upgrade your OS if you want to play DICE's future games on the PC. Are you part of the shrinking minority of gamers still using a 32-bit operating system? Well you'd best upgrade, Mr. Flintstone, because the future is coming. And the future hates mildly outdated operating systems. According to a tweet from DICE's rendering Architect, Johan Andersson, some Frostbite 2 Engine games released in 2013 will require a 64-bit system to run. There's a legitimate technical rationale for the decision: a 64-bit OS can access a system's full complement of RAM, while 32-bit systems can only use four gigs at most. Most modern systems have been shipping with 64-bit processors for quite a while, but many users held off making the switch to a 64-bit OS because the benefits didn't outweigh the extra hassle of finding compatible drivers and software. The release of Windows 7 made the change more palatable: According to Steam's most recent hardware survey, 53.86% of users use Windows 7 64-bit, while only 6.28% and less than 1% use the 64-bit versions of Vista and XP respectively. If you already own Windows 7 you don't have to upgrade, as each version of the OS - with the exception of Home Basic - comes with both 32 and 64-bit versions.